New Delhi, April 10: With the theme "Innovate: Evolve; Progress: Exploring Science since 40 years", a two-day scientific convention has been organized as a tribute to the founder of Homoeopathy Dr. Christian Friedrich Samuel Hahnemann. It has been organized by Ministry of AYUSH on the occasion of World Homoeopathy Day. The Vice President M. Venkaiah Naidu was the chief guest at the function while MoS for AYIJSH Shripad Yesso Naik presided. This day is observed to commemorate the birth anniversary of the founder of Homoeopathy Dr. Christian Friedrich Samuel Hahnemann. The delegates at the convention would include homeopathic researchers, practitioners, students, industrialists as we all as representatives of various homeopathic associations. Many reputed scientists and veterans of Homoeopathy will be the speakers at the event. 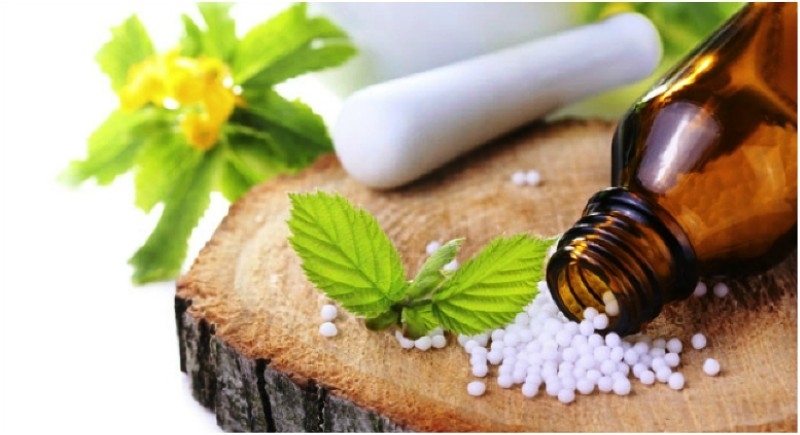 Scientists from other allied sciences will also present their findings related to studies on Homoeopathy. The Central Council for Research in Homeopathy (CCRH) is organizing a scientific convention on the World Homoeopathy Day to pay tributes to Dr. Hahnemann, on his 263rd birth anniversary. AYUSH awards relating to Homoeopathy for Life Time Achievement, Best Teacher, Young Scientist and Best Research paper will be conferred on this occasion. The Council's research activities during last 40 years have yielded reassuring results and carved out a future roadmap for the scientists working in the field of Homoeopathy. These will be showcased in an exclusive Exhibition to the delegates during the convention. 168 clinical kinds of research, 40 basic kinds of research, standardization studies of 348 drugs, proving of 112 drugs and clinical verification of 106 drugs have so far been accomplished by Council in the last 40 years. 55 Research proposals sanctioned under Extra-Mural Research Scheme were technically monitored. Studies on 5 epidemic diseases, namely dengue, malaria, chikungunya, influenza-like illness and Acute Encephalitis Syndrome (AES) have been undertaken, and new studies in these diseases, as well as in other epidemic diseases are planned. Council has also initiated the Short Term Studentship in Homoeopathy (STSH) Program with the vision to inculcate research aptitude among homeopathic undergraduates, under which 52 students have been awarded scholarships. As a step forward, this year, Council is signing MoUs with PG Homoeopathic Colleges on this World Homoeopathy Day to support the development of research infrastructure in an effort to link education with research. The vision behind the agreement would be to provide impetus to research infrastructure, which, in turn, further orient the students towards research.